For more than 100 years residents of Delta have trusted Crown Roofing to take good care of their roofs. Whether it is a simple repair to a stubborn leak, restoring a roof that has been damaged in a winter storm, or installing an entirely new roofing system, we’re the experts your neighbors call when they want the job done right at a fair price. They know they can count on Crown Roofing for quality work and exceptional customer service, which add up to lasting value. We’ve proven our professionalism and ability on thousands of roofs in Delta and throughout the greater Vancouver region since 1902. 1. You’ll get a quality roof that will deliver reliable protection against the elements. By using only brand name products and materials, professionally installed by our experienced crews, you’ll enjoy the peace of mind of knowing that you’ll be safe and secure in any weather. 2. 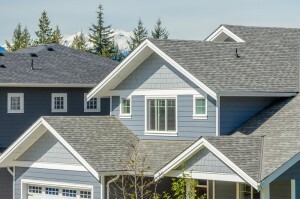 You’ll enjoy a roofing process that is efficient and stress-free. When you select Crown Roofing you can stop worrying about your roof. We’ll do the best work and make it easy for you by keeping you informed at every step of the process. 3. You’ll know your roof is protected while it is protecting you, thanks to the combination of comprehensive manufacturer warranties and our own guarantee of workmanship quality. 4. You’ll sleep better at night knowing that a Crown roof is overhead!